Kansas Republican Gov. Sam Brownback rescinded an executive order Tuesday issued during the Sebelius administration that offered protections to state employees based on sexual orientation and gender identity. Gov. Kathleen Sebelius, a Democrat, signed the order in 2007 prohibiting most state employees from discrimination on the basis of sexual orientation. Brownback issued a new executive order cancelling Sebelius’ order. 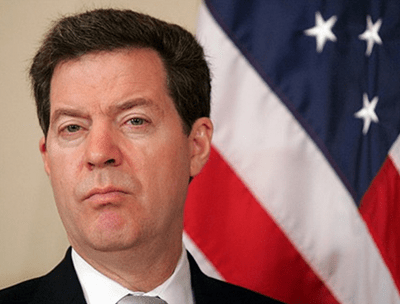 “This Executive Order ensures that state employees enjoy the same civil rights as all Kansans without creating additional ‘protected classes’ as the previous order did,” Brownback said in a statement. I just cannot imagine what it must be like to like with such hate inside you. He must feel constantly angry and bitter. It must hurt.